WOW! AMAZING award winning A-Frame design gives the feeling that you are living in Banff/Canmore surrounding by mature pine & cedar trees. This unique complex was originally built by the CBC to house reporters for the 1988 Olympics & was featured in National Geographic magazine. 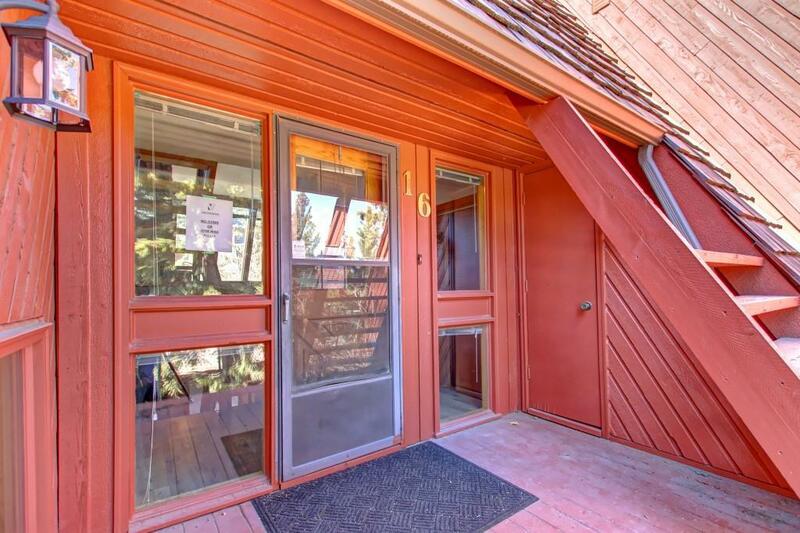 Main offers living rm w/ wood fireplace, kitchen & dining rm leads onto large (14ft x 10ft) private west facing deck. 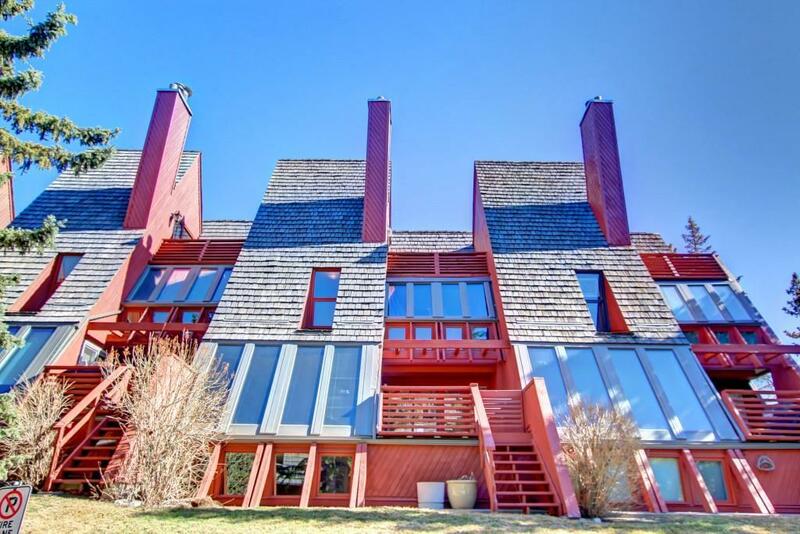 2nd upper offers a large bedrm, 4-piece bathrm & a master w/ walkin closet, 3-piece ensuite, a loft area & large windows. 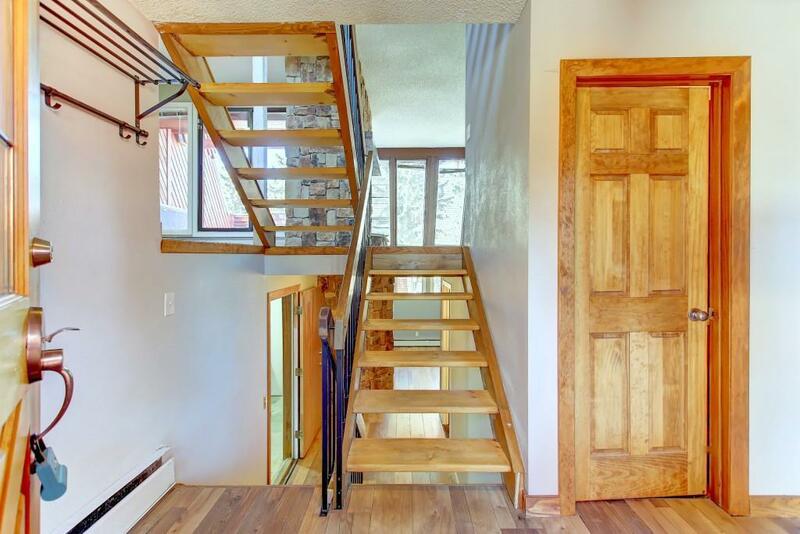 3rd upper offers a spacious open bedrm/den w/ another private (6ft x 11ft) deck. 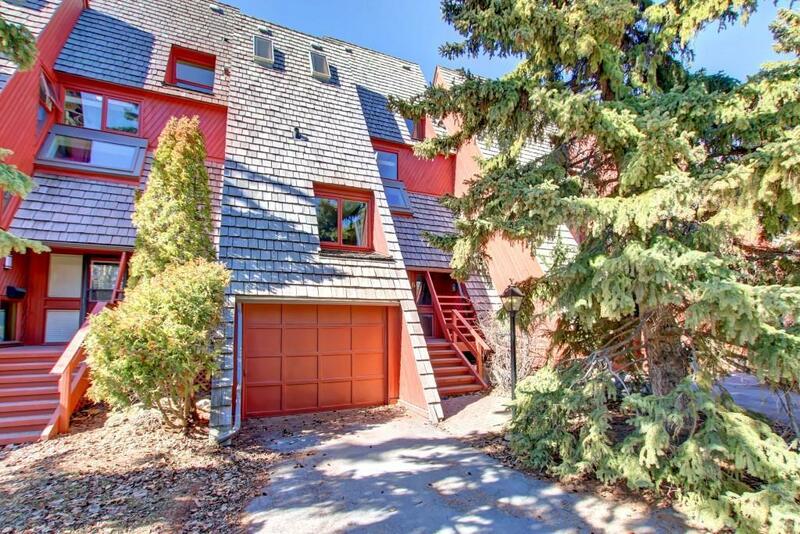 Developed basement offers laundry & media/rec rm w/ bright windows & leads into a double tandem attached garage. Fully developed on all 4 levels offer abundance of living space & storage area. Conde fees include heat, water/sewer. The building envelope was completely renovated. Coach Bluff villas only mins to DT, C.O.P, shopping, schools & parks. Must view to appreciate the architectural design. Call today! !